Is Clinical Virtual Reality Ready for Primetime? ABSTRACT: Since the mid-1990s, a significant scientific literature has evolved regarding the outcomes from the use of what we now refer to as Clinical Virtual Reality (VR). This use of VR simulation technology has produced encouraging results when applied to address cognitive, psychological, motor, and functional impairments across a wide range of clinical health conditions. This talk addresses the question, “Is Clinical VR Ready for Primetime?”. After a brief description of the various forms of VR technology, I will discuss the trajectory of Clinical VR over the last 20 years and summarize the basic assets that VR offers for creating clinical applications. The discussion then addresses the question of readiness in terms of the theoretical basis for Clinical VR assets, the research to date, the pragmatic factors regarding availability, usability, and costs of Clinical VR content/systems, and the ethical issues for the safe use of VR with clinical populations. My key take home message is that when reviewing the theoretical underpinnings and research findings to date, it is clear that Clinical VR will have a significant impact on future research and practice. Pragmatic issues that can influence adoption across many areas of psychology also appear favorable, but professional guidelines will be needed to promote its safe and ethical use. While there is still much research needed to advance the science in this area, it is predicted that Clinical VR applications will become indispensable tools in the toolbox of psychological researchers and practitioners and will only grow in relevance and popularity in the future. ABSTRACT: Touching an object causes rich haptic cues that enable you to understand the object's physical properties and adeptly control the interaction. Although human experience centers on physical contact with tangible items, few computer systems provide the user with high-fidelity touch feedback, limiting their intuitiveness. Haptic interfaces are mechatronic systems that modulate the physical interaction between a human and his or her tangible surroundings. Such interfaces typically involve mechanical, electrical, and computational layers that work together to sense user motions or forces, quickly process these inputs with other information, and physically respond by actuating elements of the user's surroundings. By way of three examples, this talk will demonstrate that well-designed tactile feedback can greatly increase the realism of virtual worlds. First, we created a simple visuo-audio-tactile simulator to help dental students learn to find cavities in teeth. The user watches a video of a real dental tool interacting with a tooth while simultaneously feeling an authentic rendering of the associated contact vibrations. Second, we created the world's most realistic haptic virtual surfaces by recording and modeling what a user feels when touching 100 real objects with an instrumented stylus. The perceptual effects of displaying the resulting data-driven friction forces, tapping transients, and texture vibrations were quantified by having users compare the original surfaces to their virtual versions. Third, we extended the haptic texture concept to capture how a real robot vibrates as it moves its joints and tied this model to measured user motions. The resulting vibrotactile experiences were formally evaluated and then added to an immersive game that lets the user feel what it would be like to turn into a robot. While much work remains to be done, we are starting to see the tantalizing potential of systems that leverage tactile cues to allow a user to interact with virtual environments as though they were real. 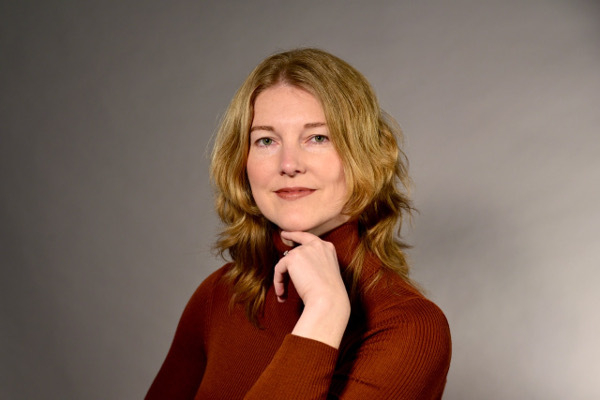 BIO: Katherine J. Kuchenbecker directs the new Haptic Intelligence Department at the Max Planck Institute for Intelligent Systems in Stuttgart, Germany. She was previously an Associate Professor of Mechanical Engineering and Applied Mechanics at the University of Pennsylvania, where she held the Class of 1940 Bicentennial Endowed Term Chair and a secondary appointment in Computer and Information Science. Kuchenbecker earned her Ph.D. in Mechanical Engineering at Stanford University in 2006 and did a postdoctoral fellowship at the Johns Hopkins University. Her research centers on haptic interfaces, which enable a user to touch virtual and distant objects as though they were real and within reach, as well as haptic sensing systems, which allow robots to physically interact with objects and people. She delivered a TEDYouth talk on haptics in 2012, and she has received several honors including a 2009 NSF CAREER Award, the 2012 IEEE Robotics and Automation Society Academic Early Career Award, a 2014 Penn Lindback Award for Distinguished Teaching, as well as various best paper and best demonstration awards. ABSTRACT: In this presentation we will show how, at Audi design, physical and virtual processes are connected, how they support each other and how we get the best out of both worlds. We will show the bandwidth of our visualization content, the specific use cases for them and how we share resources between different departments. We will address the point that, in our opinion, it‘s necessary to bring the tools to where are they needed, specifically to the CAD-specialists and the designers and how our strategy is to implement this. BIO: Helmut Hobmaier started his career @ Audi in 1984 in the data control department as model maker. After a few years being in touch with “real” surfaces he moved to the CAD department. Here he generated construction data and milling programs for the data control process. In 1998 he joined the visualization team of the data control department and from 2002 on he worked as a method developer in this environment. In 2015 he became a member of the Audi design visualization department, where he still is working on method development focused on real time visualization and immersive technologies. ABSTRACT: In current public perception, VR is often considered a fairly new thing, being around for only the last three to four years - while of course it’s not at all new. Being researched for more than the last 25 years, VR has been a valuable tool in the industry almost as long. This talk will take the journey from some of the early VR pioneers to industrial VR applications of today and tomorrow, and look into the past and the future of enabling technologies for VR - including a close look to some of the really early VR hardware. 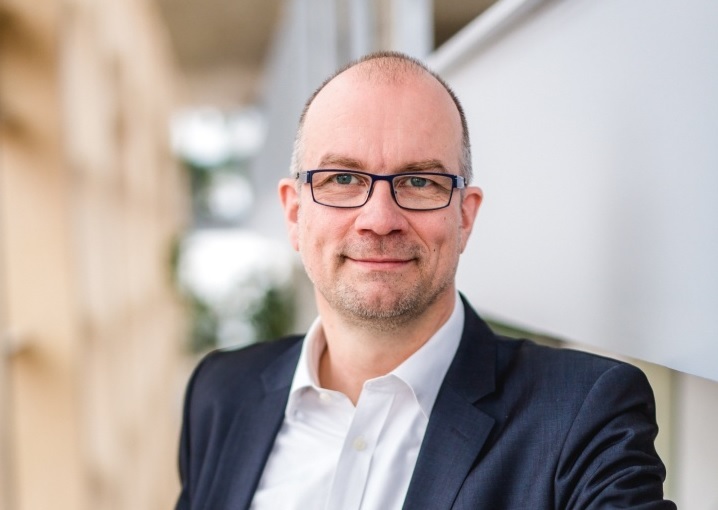 BIO: Oliver Riedel is a professor at the University of Stuttgart’s Institute for Control Engineering of Machine Tools and Manufacturing Units (Institut für Steuerungstechnik der Werkzeugmaschinen und Fertigungseinrichtungen / ISW) since 1st November 2016. The bright spark from northern Germany is a generalist and specialist all rolled into one. His passion for hands-on research is infectious. Professor Riedel is a man of practical experience with excellent connections, who has stepped up after 20 years in top management in order to impart the joy of mathematics to the students whilst providing a simultaneous reference to practice. The so-called “model based production engineering“ of his professorship is interdisciplinary since it combines computer science with mechanical engineering. Dr. Oliver Riedel studied Technical Cybernetics at the University of Stuttgart and obtained his doctorate at the Faculty of Design and Production Engineering. 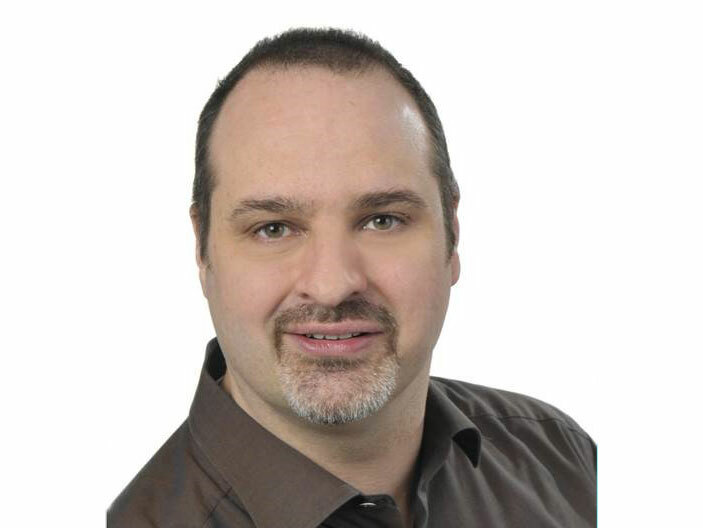 For more than 20 years Dr. Riedel focused on the foundations development and the practical application of methods for virtual prototyping in product development and production. During this time, he led numerous projects for major international companies in the automotive industry and in the energy industry for the introduction of virtual methods. After working at the Fraunhofer Institute for Industrial Engineering (IAO), he worked for CENIT AG, Systemhaus, and SiliconGraphics Inc. for professional services in the area of virtual product development in a leading role. After that, Dr. Riedel was responsible for process integration and information management in the product process at AUDI AG. In 2010 he joined the VW Group as Head of Information Technology and Process Integration Product Process. Starting in March 2012, he was responsible for controlling planning processes and coordinating production-relevant IT at AUDI AG worldwide. ABSTRACT: NVIDIA VRWorks is a comprehensive suite of technology geared towards helping application and headset developers to create amazing virtual reality experiences. This talk will introduce some of VRWorks’ components, explain the functionality and dive a bit deeper into the technical aspects behind these features. BIO: Robert Menzel is a developer technology engineer in NVIDIA's Professional Solutions Group, where he works on various topics involving virtual reality in the context of professional graphics. He has worked for Fraunhofer FIT's collaborative virtual and augmented environments team as well as for the Computer Graphics Group at the RWTH Aachen University, Germany.